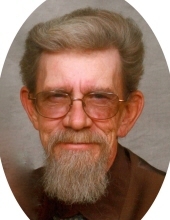 Robert M. Suster, 72 of Osceola, Missouri passed away March 16, 2019 at his home near Osceola. Cremation, with memorial services set for 10:00 AM Saturday, March 30, 2019 at the First Christian Church in Appleton City, Missouri with Pastor Tony Reynolds officiating. Arrangements entrusted to Mullinax Funeral Home (660-679-0009) in Butler, Missouri. Memories and messages of condolence for the family may be left at www.mullinaxfuneralhome.com. Robert was born April 28, 1946 in Hennepin County, Minnesota. Honorably, he served his country in the Navy for four years and afterwards desired to become an apprentice electrician. On February 17, 1985 he was united in marriage to Sheri (Robinson-Stogner) and they remained married until his passing. Throughout his life Robert lived in Delray Beach, Florida, Kansas City, Kansas, Grandview, Belton, and Monegaw Springs, Missouri and finally near Osceola, Missouri. Robert worked for 13 years at Permacel Automotive in Kansas City, Missouri making sound proofing materials and sealant for automotive companies. He later became a clerk at Yoss’s Food Fair in Appleton City, Missouri. Robert will also be remembered for how he loved training his Appaloosa horses. Robert was preceded in death by his mother and step-father, Phyllis (Jorgenson) Schwinn and Leonard Schwinn. He is survived by his wife, Sheri of the home; son Bill Suster of South Dakota; daughter Dawn Suster-Jameson of Minnesota; step-son Daniel Stogner of Osceola; step-son Daryl Stogner of Wichita, Kansas; one brother, Rick Schwinn of Wahkon, Minnesota; as well as 12 grandchildren. To send flowers or a remembrance gift to the family of Robert M. Suster, please visit our Tribute Store. "Email Address" would like to share the life celebration of Robert M. Suster. Click on the "link" to go to share a favorite memory or leave a condolence message for the family.